Last July, I put out a crowdsourcing call to the volunteer management community. I asked them to help me identify the skills and abilities that are most important when hiring a volunteer manager. Many leaders of volunteers added their thoughts, and while I encourage you to check out the original post and review all of the comments, there are three observations that stand out to me as essential for success in this role. If you revise your hiring expectations based on what you read, you will not be disappointed. 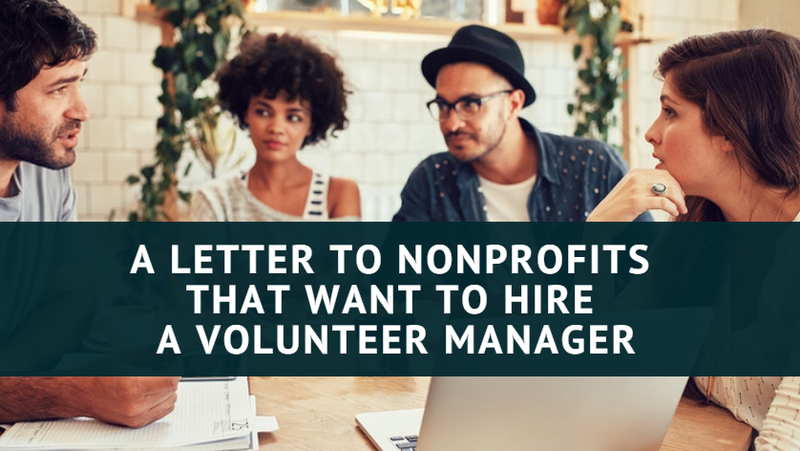 Nonprofit leaders, if you want to hire a volunteer manager and set them up for success, look way beyond the job description. Instead, make it clear in words and actions that every member or your organization has a valuable part to play. A volunteer manager is a person who works for no pay. You need to be careful of your terminology if you intend to pay a person to manage those who volunteer for your organization. There is a huge difference between a volunteer manager and a manager of volunteers.